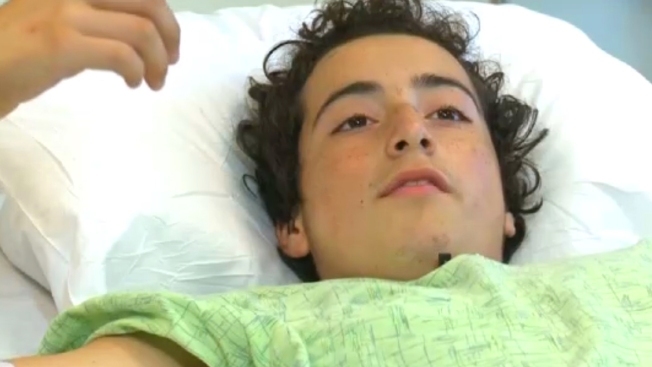 Nicholas Dillon has a broken pelvis and won’t play soccer again for months. But the bed-ridden 13-year-old Napa boy still counts himself lucky. 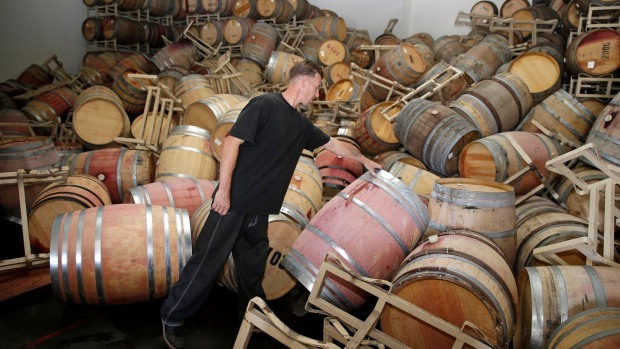 He was one of the most seriously injured among the 208 people hospitalized after Sunday’s 6.0-magnitude earthquake rattled the Bay Area. "That day I could have died” he said. 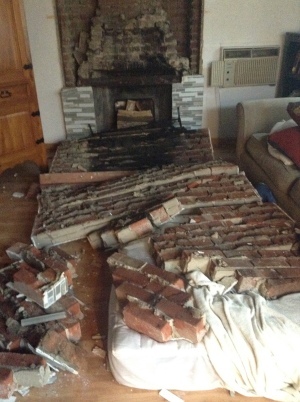 A fireplace fell on top of Dillon's lower body when the quake hit at 3:20 a.m. He believes if he hadn't moved, he could have been crushed to death by the bricks. Instead, the freckle-faced teen was giving interviews from his hospital bed at the University of California at Davis Children's Hospital in Sacramento Tuesday night, retelling the harrowing story of what happened when he first felt the earth move and the house shake. "I started crawling trying to get to the door," he said, "and just as I was about to put my knee on the floor the chimney collapsed on my lower back." Nicholas and his friend, Imanol Villanueva, were sleeping in the living room after a friend's birthday party Saturday night. Nicholas was sleeping on a mattress on the floor, directly under the brick fireplace. He had given Imanol the couch. "He started yelling my name," Imanol said, still teary remembering what happened when the earth shook. "And then I yelled his and then I saw the bricks coming down on him." The bricks ended up crushing Dillon's pelvis, but thankfully, his family says, not his spine. "I didn't know what to think," Nicholas said. "For the first 30 seconds, I thought I was paralyzed. I didn't think I was going to be able to walk anymore. I was scared." His mother called 911, but couldn't get an answer. His grandfather drove him to the nearest fire station, where he was taken to the hospital. He was airlifted to UC Davis, where he underwent a 10-hour surgery, his family said. Of the 208 patients first admitted to Queen of the Valley Medical Center in Napa, he was one of two critical cases. Doctors say it will be at least four or five months before he can put pressure on his legs. As a soccer player, that news is especially disappointing for the 9th grader at New Technology High. "I'm hanging in there for the most part," he said. Nicholas Dillon's family set up an account to help with medical costs. To help, contact Bank of America and reference an account in the name of Nicholas M. Dillon, No. 1641-0344-2511. NBC News and NBC Bay Area's Ian Cull contributed to this report.